I met with my co-head coach last night for a coach’s meeting to discuss our upcoming tryouts 2/9 and draft the following week. We get to keep up to 6 players from our Fall team and draft a new team of 18. We will be the WarHawks this season. We have been in the last 4 season Super Bowls and won 3 of the 4. The two Fall football seasons we were undefeated. 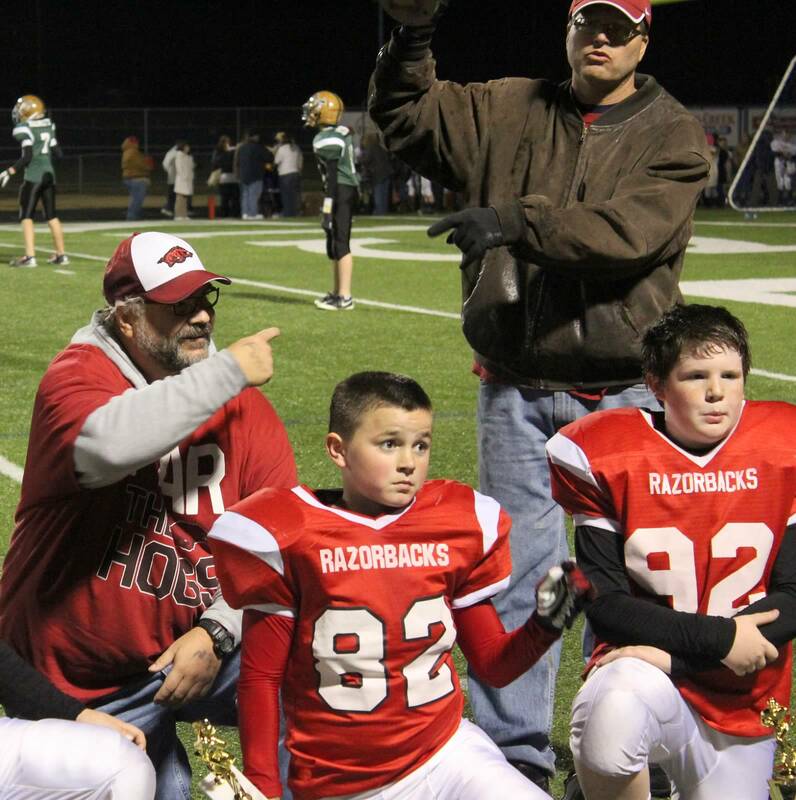 We have not had a Spring season team go undefeated yet, so we are hoping to accomplish that coaching goal this Spring 2013 season at KYA Youth Football in Keller, Texas. After much debate we are freezing and keeping four of our players so we can try to pick up a running back in the early rounds of our draft. If we kept five or six we may miss out on a versatile running back. Hopefully this strategy pays off. After each season we grade the players on our team and the opposing players since we know we may draft them at some point in the future. We met last night to review our top graded players and watch film on a few players from last season that caught our eye. We also reviewed some of the big lineman in this seasons group. We wound up grading 25 new players last night and came up with some good prospects. We will use this prospect list to help us during tryouts to focus our attention on potential draft choices. I hope to find a few new players that have moved into the area too. We like to talk to each player and ask a series of 10 or so questions. This has been a big positive for us during the draft, especially ask the player who the top 3 players were on their previous team. You will be surprised at some of the answers. I also like to see if the player looks me in the eyes to see his confidence especially when I ask him if he likes to hit. At the end of the day football is about blocking and tackling and that’s really just hitting. Well, for me this preseason planning is almost as fun as coaching during the season. I am looking forward to the next three weeks as we pick our new team.